This is the GoPro "The Tool." The Tool makes it easy to tighten your GoPro thumb screws to prevent the camera from shifting during high-speed, high-vibration activities. Whether you’re headed surfing, skydiving or off-road racing, The Tool delivers the extra torque you need to get your thumb screws tighter than you can by hand. It’s perfect when mounting the camera using multiple extension arms, or adjusting thumb screws in cold conditions with numb fingers. 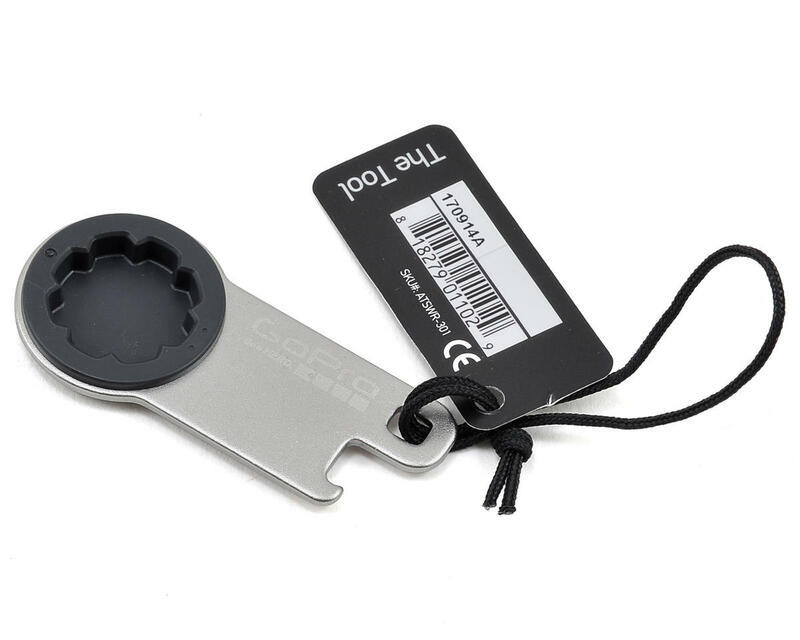 The Tool doubles as a bottle opener, so you can use it to crack a cold one back in the parking lot.